My name is Jin Ryong Kim (First name: "Jin Ryong", Last name: "Kim") and I am a senior research scientist at Alibaba Research, USA. Prior to my current role, I was a senior researcher at Electronics and Telecommunications Research Institute (ETRI), Korea. I am broadly interested in Human-Computer Interaction (HCI), but more focused on creating novel interaction through haptics (sense of touch) in virtual reality, touchscreen interaction, and wearable computing for new user experiences. I received the Ph.D. degree in Electrical and Computer Engineering (Advisor: Prof. Hong Z. Tan), and M.S. degree in Computer Science, both from Purdue University, IN, USA. I received the B.S. and M.S. 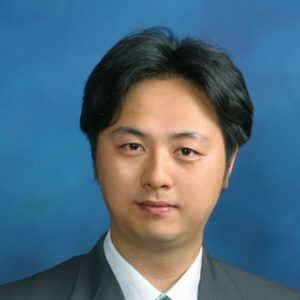 degree (Advisor: Prof. Youjip Won) in Electrical and Computer Engineering from Hanyang University, Seoul, Korea. During my academic years, I worked as research interns at Microsoft Research Lab - Asia (Beijing, P. R. China, 2012~2013), NHK Science and Technology Research Laboratories (Tokyo, Japan, 2003), and Samsung Advanced Institute of Technology (Yongin, Korea, 2004). I published several articles in major haptic and HCI conferences such as IEEE World Haptics Conference, IEEE Haptics Symposium, EuroHaptics, and ACM CHI. 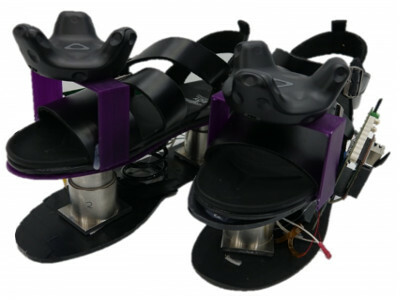 [C20] Hyungki Son, Inwook Hwang, Tae-Heon Yang, Seungmoon Choi, Sang-Youn Kim, and Jin Ryong Kim, "RealWalk: Haptic Shoes Using Actuated MR Fluid for Walking in VR," Accepted to the IEEE World Haptics Conference 2019 (WHC 2019), Tokyo, Japan, July 9-12, 2019. [D3] Jin Ryong Kim, Stephanie Chan, Xiangchao Huang, Kenneth Ng, Limin Paul Fu, and Chen Zhao, "Demonstration of Refinity: An Interactive Holographic Signage for New Retail Shopping Experience," Accepted to Extended Abstracts of the 2019 CHI Conference on Human Factors in Computing Systems (CHI 2019 Demo), Glasgow, UK, May 4-9, 2019. [W3] Orestis Georgiou, Hannah Limerick, Loic Corenthy, Jin Ryong Kim, Mykola Maksymenko, Sam Fish, Mark Perry, Jorg Muller, and Myroslav Bachynskyi, "Mid-Air Haptic Interfaces for Interactive Digital Signage and Kiosks", accepted to Extended Abstracts of the 2019 CHI Conference on Human Factors in Computing Systems (CHI 2019 Workshop), Glasgow, UK, May 4-9, 2019. [J4] Hyungki Son, Seunghyup Shin, Seungho Choi, Sang-Youn Kim, and Jin Ryong Kim, "Interacting Automultiscopic 3D with Haptic Paint Brush in Immersive Room", IEEE Access, Vol 7, Issue 1, Access-2018-19117, pg. 1-11, IEEE, 2018. 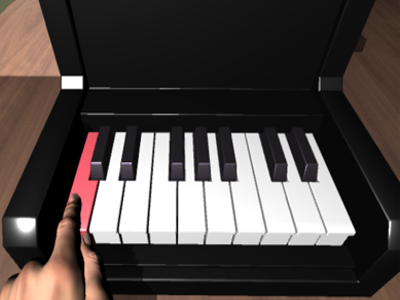 [J3] Seokhee Jeon, Hongchae Lee, Jiyoung Jung, and Jin Ryong Kim, "User Adaptive Key-Click Vibration on Virtual Keyboard," Mobile Information Systems, Vol. 2018, Article ID 6126140, 12 pages, 2018 [ PDF ]. [D2] Hyungki Son, Hyunjae Gil, Sangkyu Byeon, Sang-Youn Kim, and Jin Ryong Kim, "RealWalk: Feeling Ground Surfaces While Walking in Virtual Reality," Extended Abstracts of the 2018 CHI Conference on Human Factors in Computing Systems (CHI 2018 Demo), D400, Montreal, QC, Canada, April 21-26, 2018 [ PDF | Link ]. [W2] Marcello Giordano, Orestis Georgiou, Brygida Dzidek, Loic Corenthy, Jin Ryong Kim, Sriram Subramanian, Stephen A. Brewster, "Mid-Air Haptics for Control Interfaces," Extended Abstracts of the 2018 CHI Conference on Human Factors in Computing Systems (CHI 2018 Workshop), W15, Montreal, QC, Canada, April 21-26, 2018 [ PDF | Link ]. [C18] Reza Haghighi Osgouei, Sunghwan Shin, Jin Ryong Kim, and Seungmoon Choi, "An Inverse Neural Network Model for Data-driven Texture Rendering on Electrovibration Display," In Proceedings of the IEEE Haptics Symposium 2018 (HAPTICS 2018) [ PDF ]. [D1] Jin Ryong Kim and Seunghyup Shin, "Touchscreen Interaction on Automultiscopic Display with Electrostatic Vibration," demonstrated in AsiaHaptics 2016, Kashiwanoha, Japan, Nov. 29 - Dec. 1, 2016. [P2] Venkatesh Merwade, Jin Ryong Kim, Lan Zhao, Carol Song, Amjad Assi, Ben Ruddell, and Rabi H. Mohtar, "WaterHUB for Publishing and Sharing of Hydrologic Models," In Proceeding of the American Water Resources Association 2012 Spring Specialty Conference GIS and Water Resources VII, New Orleans, LA, Mar. 2012. [W1] Lan Zhao, Carol Song, Jaewoo Lee, Jin Ryong Kim, Wei Feng, Venkatesh Merwade, and Nelson Villoria, "Bring Integrated GIS Data and Modeling Capabilities into the HUBzero Platform," Proceedings of the ACM SIGSPATIAL Second International Workshop on High Performance and Distributed Geographic Information Systems (HPDGIS 2011), Chicago, IL, Nov. 3-5, 2011. [A1] Venkatesh Merwade, Ben Ruddell, Carol Song, and Lan Zhao, Jin Ryong Kim, Amjad Assi, "Publishing and Sharing of Hydrologic Models through Water HUB," Abstract IN33B-1467 presented at 2011 Fall Meeting, AGU, San Francisco, CA, Dec. 5-9, 2011. [P1] Peter Kristof, Bedrich Benes, Jin Ryong Kim, Lan Zhao, and Carol Song, "Near Real-time 3D Visualization of Rainfall Data," TeraGrid 2009, Arlington, VA, Jun. 22-25, 2009. "System and Method for Re-generating Packet Load For Load Test," US Patent Application, Patent Number: 20090156314, Application Number: 12264589, June 18, 2009. "Method and System for Simulating Network Address Translation," US Patent Application, Patent Number: 20090154464, Application Number: 12336226, June 18, 2009. "Method and System for Providing Streamed Game Software on Portable Terminal," US Patent Application, Patent Number: 20080288380, Application Number: 12096535, November 20, 2008. "Intelligent Distributed Server System and Method for Operating The Same," US Patent Application, Patent Number: 20070117631, Application Number: 11437544, May 24, 2007. Haptics (the word derives from the Greek, meaning “to touch”) is the science and technology of creating and employing touch sensation. 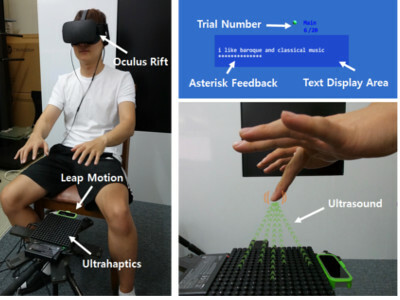 Research in haptics is receiving great attention in industry and academia since it offers an additional dimension to 3D graphics, mobile displays, and virtual reality for richer user experiences. My research interest is haptics interaction. 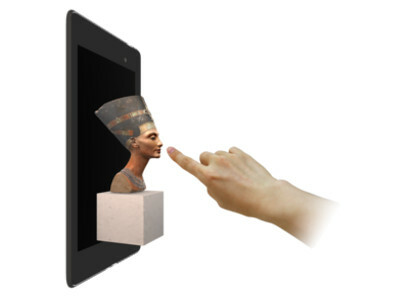 More specifically, my research focuses on designing and creating novel interaction through haptic technology in order to amplify human satisfaction for enriched user experiences in the field of human-computer interaction. I am interested in interdisciplinary collaboration to solve real-world challenges in human-centered design through haptic interaction. Haptic interaction research fundamentally involves pursuing research across disciplines, which has given me several opportunities to collaborate with experts in other domains ranging from computer graphics, virtual reality, computer vision, and software-to-hardware engineering. Below is a list of projects that I have continuously been pursuing to contribute to a better understanding of touch feedback, and research on how to improve and design haptics interaction in order to simulate real scenarios.